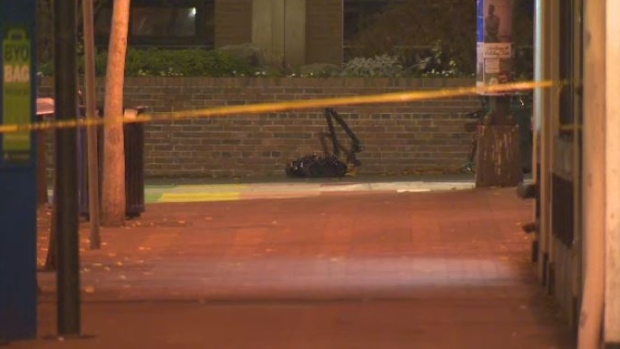 Victoria police swarmed city hall late Tuesday night after a suspicious package was found near the building. Officers were called to the area of City Hall just before 10 p.m. after someone spotted the suspicious package. Out of precaution, officers cordoned off the area around Centennial Square and city hall while an explosive disposal unit investigated. The suspicious item was eventually deemed to be not a threat. It happened just hours after a bomb threat prompted the evacuation of the Victoria courthouse. Canine units swept the building Tuesday afternoon after a threat was received by the sheriff's office, located in the courthouse. Eventually it was determined there was no safety threat and police gave the building the all-clear. Police are not saying if they believe the two incidents are connected. Anyone with information is asked to call police at 250-995-7654 or Crime Stoppers at 1-800-222-8477.